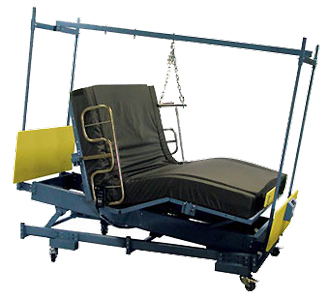 The Big Boyz Trapeze is Durable Medical Equipment designed to provide the patient with assistance in changing body positions in addition to entering and exiting bed. 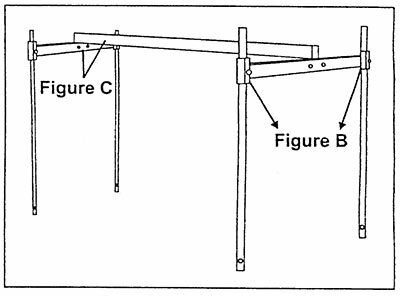 The Big Boyz Trapeze has a fracture frame set-up, four (4) posted and bed mounted. This item provides the stability and security needed for the Bariatric population with a 1,000 lb. Patient Weight Capacity. Step 1: Take the four posts and place them into the channels on the frame (figure A). Step 2: Take the two short cross bars and slide them on the top of the posts for the width of the bed, at the head of the foot. 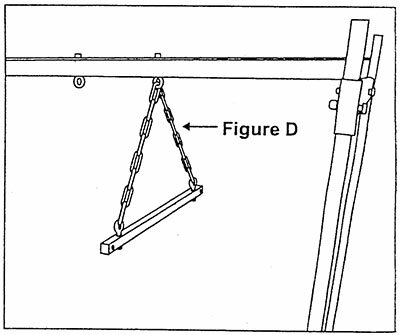 Secure with bolts and tighten firmly (figure B). Step 3: Place trapeze pull bar at the head end (figure D). bolt long cross bar (length of bed) between the two short cross bars. 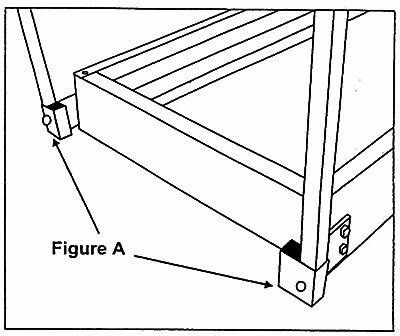 Secure with bolts and tighten firmly (figure C). There are currently no technical specifications for this product.